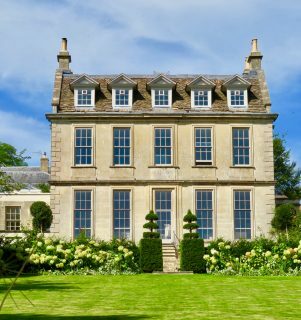 Bath is one of England’s most beautiful and favourite cities and England’s only UNESCO World Heritage City. However, to clear up any doubts, this place might be beautiful but is certainly not a gay destination. Bristol 20 km up the road is the place to go for a lively gay scene. Several years ago Bath had a few gay venues but unfortunately most have now closed. The only gay place in Bath for a few drinks with like minded friends is Mandalyns not far from the Jane Austen Centre. The place is quite a popular LGBTI venue with good music, pleasant bar staff and is a welcome gay haven for both locals and visitors. Our second day started with the changing of the guard at Buckingham Palace. 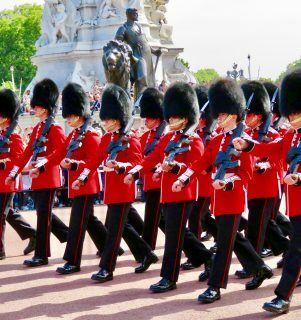 The guards start marching towards the Palace at 11:00am but be there by 10:30am to secure a good viewing spot. Then we were off to the Royal Mews just around the corner from the Palace. The Mews houses mainly the Queen’s carriages and a few horses are also stabled there. The four ton Gold Carriage used only for coronations is a masterpiece. A late lunch of scrumptious fish and chips at Balls Brothers Wine Bar just down from the Mews was a perfect choice. Arriving in Liverpool in the north west of England we were surprised to find so few people out and about in the city. To be fair, we were only in the city on Monday and Tuesday, probably not the busiest days of the week. 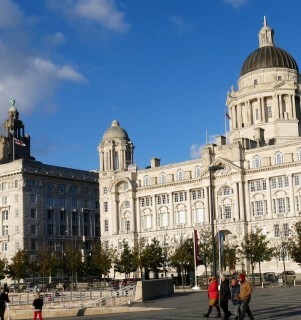 We asked a local cafe owner where all the people were, and she replied, "Liverpool is 'slow and sleepy". Regardless, we still found a city that has some wonderful contrasts between the old and the new. The world famous 'Ferry 'cross the Mersey' is one of the finest Liverpool attractions. Tours leave every hour on the hour from 10:00am to 4:00pm. 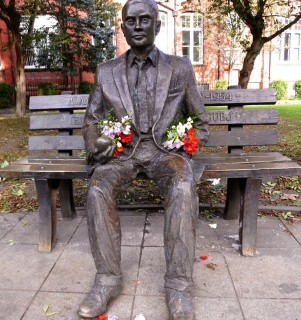 Take the 50 minute tour to find out a whole range of interesting local facts and history about Liverpool. 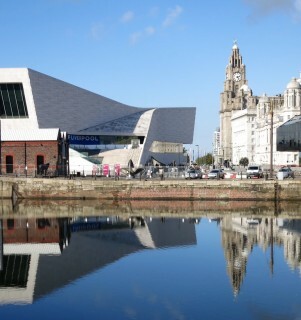 Also visit the Merseyside Maritime Museum and in the same building see the Museum of Slavery. Both exhibitions are fascinating and don't take very long to complete and entry to both is free of charge. The Midland Hotel, is an iconic Manchester hotel where Mr Rolls and Mr Royce signed their deal to form the iconic Rolls Royce company. It is also the hotel where David Beckham took Victoria on their first dinner date. We had lunch there which was excellent but you could just have a delicious drink (or two) if you don't want to dine. Shopping is great with some upmarket stores like Harvey Nicks and Selfridges and mid-range H&M. Try Market Street for a wide range of fashion shops. 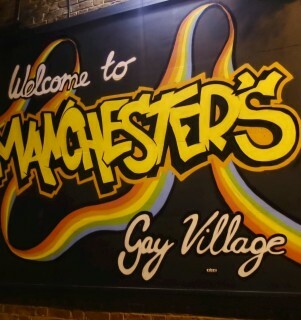 Manchester, England's third largest city has an active and very vibrant gay scene. Canal Street is the centre of the gay village and it is where it all happens. The Gay Village is home to many annual events, such as Sparkle the Trans Festival, the Bears Bash and The Skins Weekend. Manchester Pride is one of the top Pride events in Europe and Canal St plays host to tens of thousands of people in late August each year.